Are you sick of my wedding posts yet? Hope not because we've only just made it to the church and I still have more to share! But first let's back up... We had a challenging time finding a church to get married in. We looked at our university campus chapel which was my first choice, and then the church I attended when I was in college but neither worked with our dates. 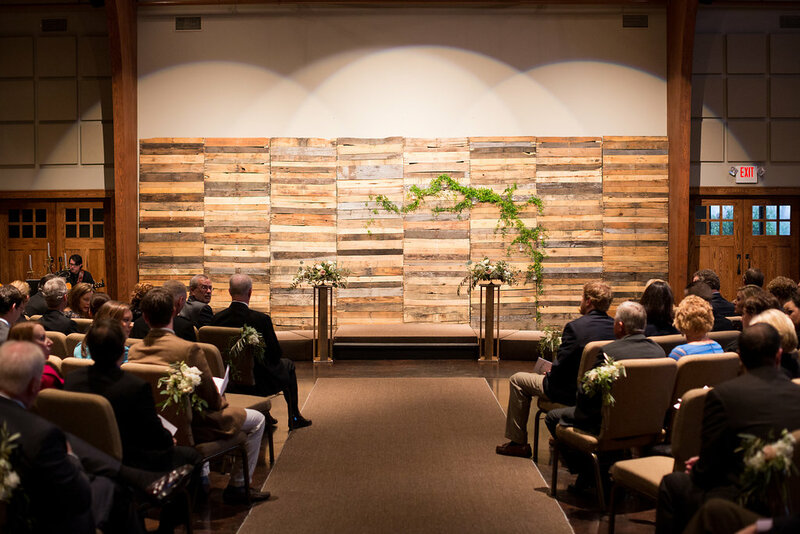 It was important to me to get married in a church and I was worried we would have to have our ceremony at the reception venue which I really didn't want. 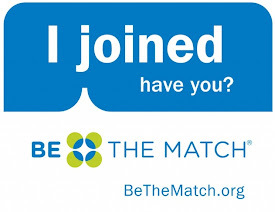 Fortunately my sister is a member at a local church and I had visited with her a couple times. It was a little bit further from the reception venue but otherwise perfect. I loved that it had some country charm like the rocking chairs on the front porch, and that the inside had a sort of rustic look with high vaulted wood beam ceilings, it was basically a blank canvas for our decor. 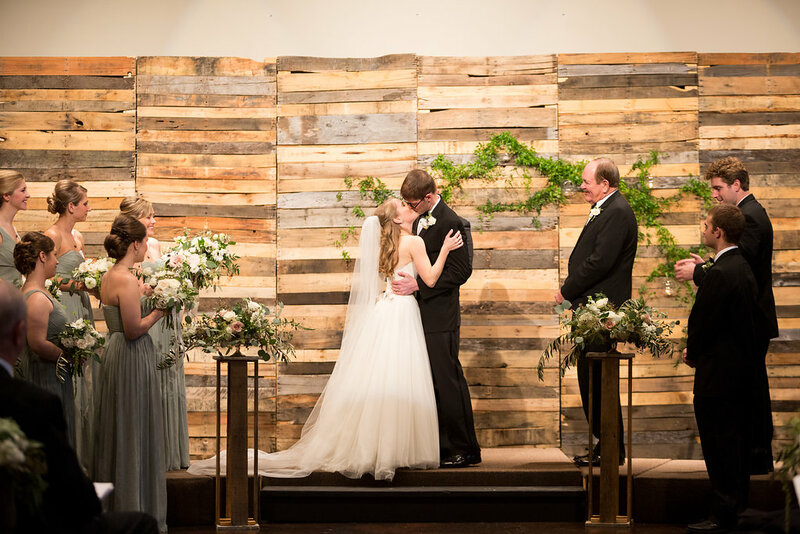 When my mom and I came to town to do a bunch of the wedding planning, we found out that a previous bride's family had built a custom pallet wall to cover the front wall of the sanctuary, and they had left it for other brides to use. 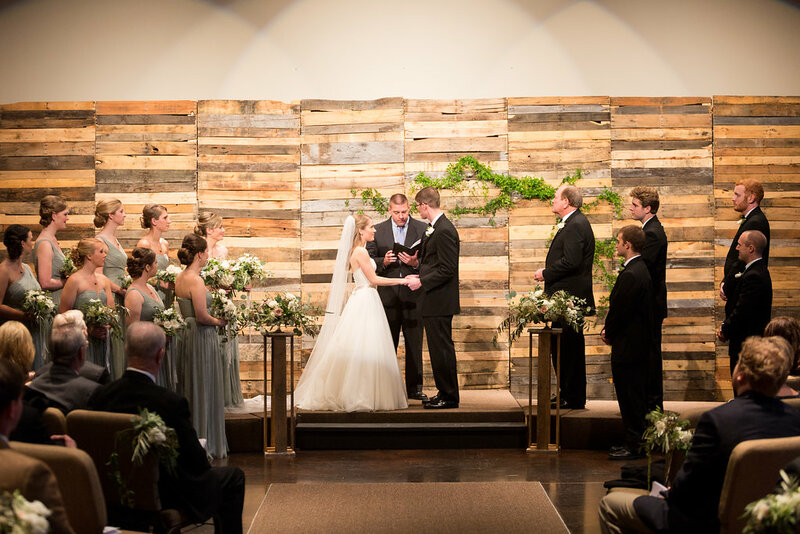 It was the perfect addition and absolutely framed the alter beautifully. And once our florist added her magical touch the space was transformed. When our limo arrived at the church it was still raining so with the help of our wedding planner and my dad I was ushered inside to wait in the children's nursery with my bridesmaids and my parents for guests to arrive and take their seats. While we waited we practiced the hymn I'd chosen, Be Thou My Vision, grandmas stopped by our "holding room" to say hello and give kisses, and my bridesmaids prayed over me as we lined up to process into the sanctuary. 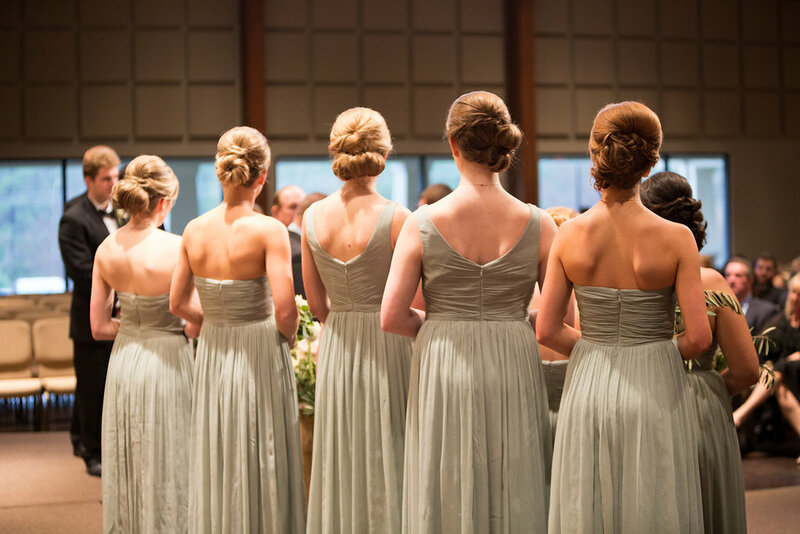 I heard the music for the seating of the grandmothers and mothers begin, Jesu' Joy of Man's Desiring, and then the transition into Canon in D for my bridal party's entrance. Soon it was just my dad and I alone outside the double doors. 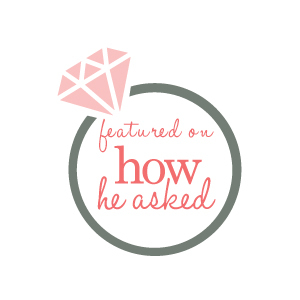 We reassured each other, I held my breath, and then the wedding planner opened the doors. 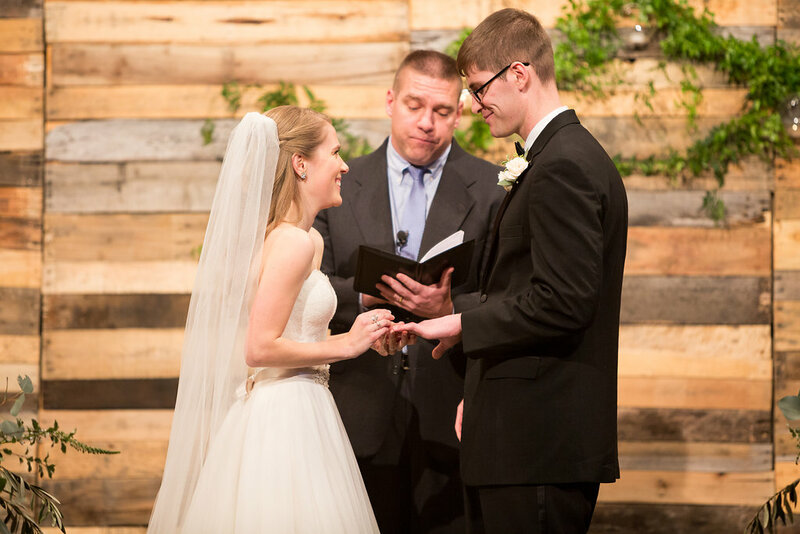 The music took a breath and then picked up with the more lively, joyful verses of Canon in D (you know, the middle part where it gets fun), the congregation rose and I kept my eyes locked on T.J. and my arm tight around my dad's as we made our way to the alter. 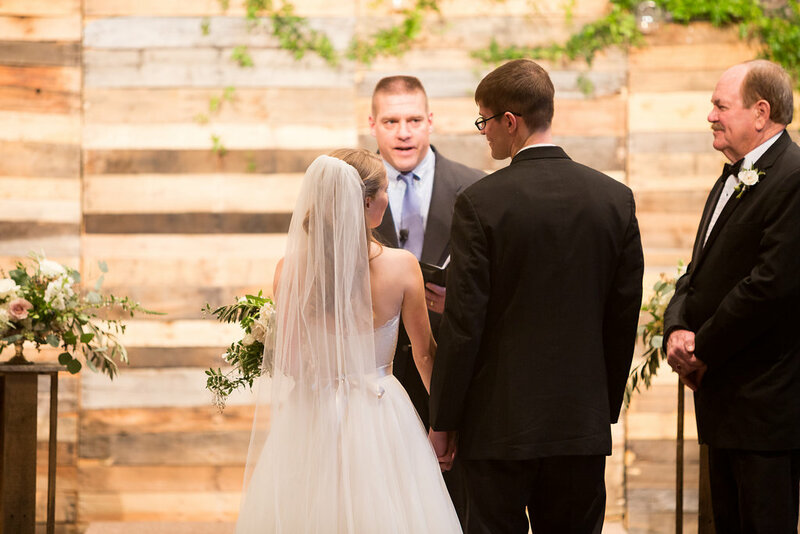 Dad placed my hand in T.J.'s, and we attentively listened to the counsel and encouragement of our officiant. I handed my bouquet to my sister and we turned to face each other, whispering I love yous and beaming from ear to ear. 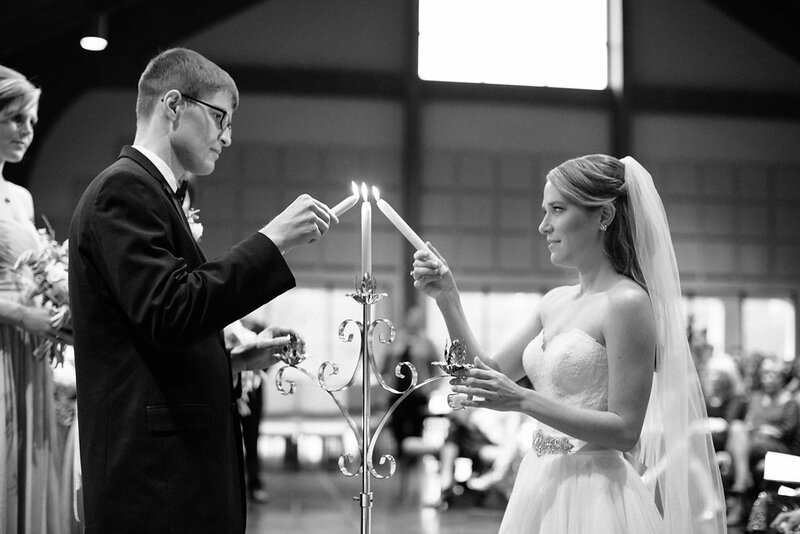 Unity candles we're lit, prayers and worship songs were sent up, promises of forever and ever were made, vows were exchanged, then rings, and finally, after only waiting for the past year and half, but really I've been waiting for my whole life, with a kiss we were husband and wife. 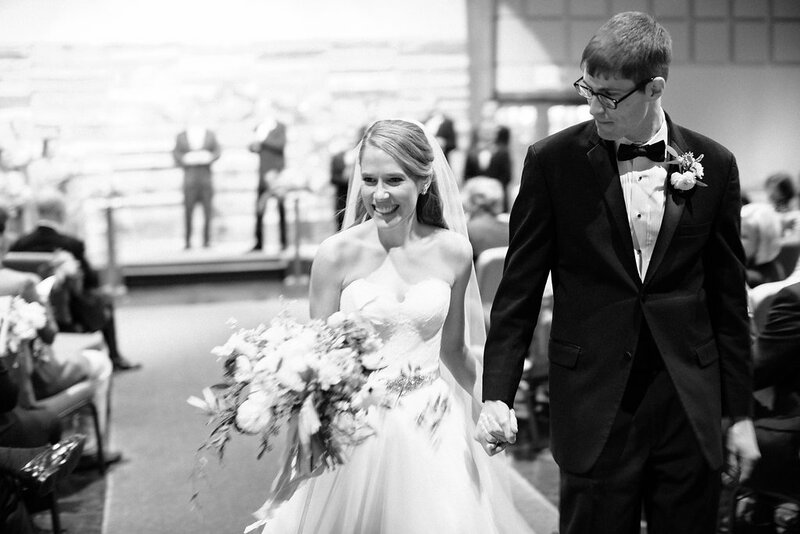 **So grateful to Chris Isham for capturing these once in a lifetime, fairytale, dream come true moments as it was a sparkly blur on the day of. So beautiful! No, I am NOT tired of wedding photos and stories. Please continue! Everything about your special day just bubbles up joy in me. I sat here in my Michigan kitchen looking at your photos, reading another portion of your love story, and started to tear up. I may only know you through yours and your mom's blog, but I feel somehow like we are friends. You have an amazing, blessed life ahead of you with Jesus in the center. Keep writing and I'll keep reading. not tired of seeing your wedding pictures. I love the one with your dad holding the umbrella! 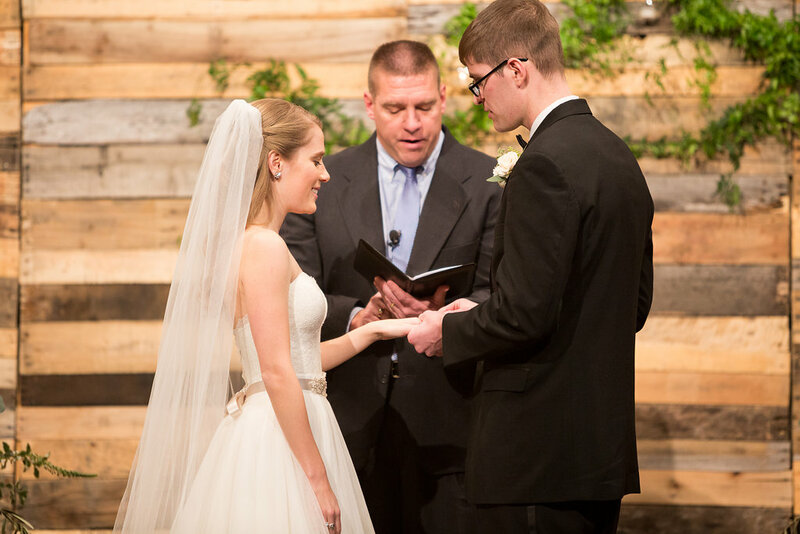 Like Terri, I'm so enjoying sharing in the details of you and TJ's very special day. 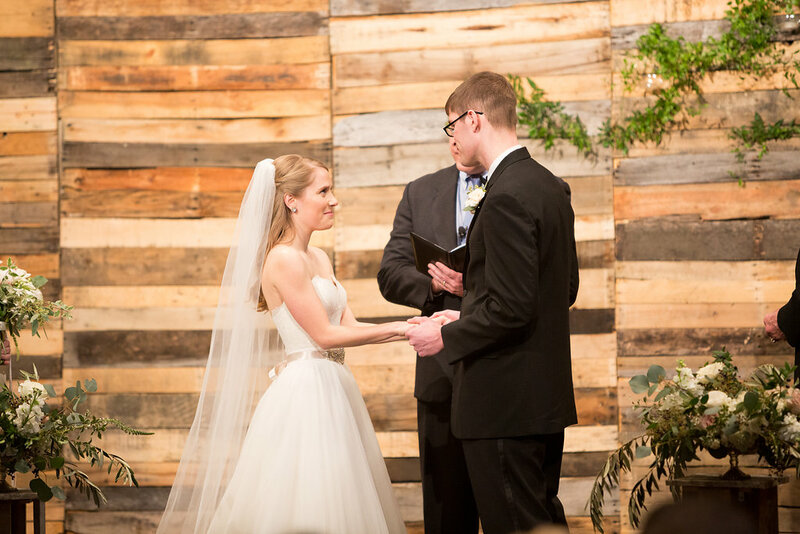 Your pictures are wonderful and I love reading all the details of your big day! 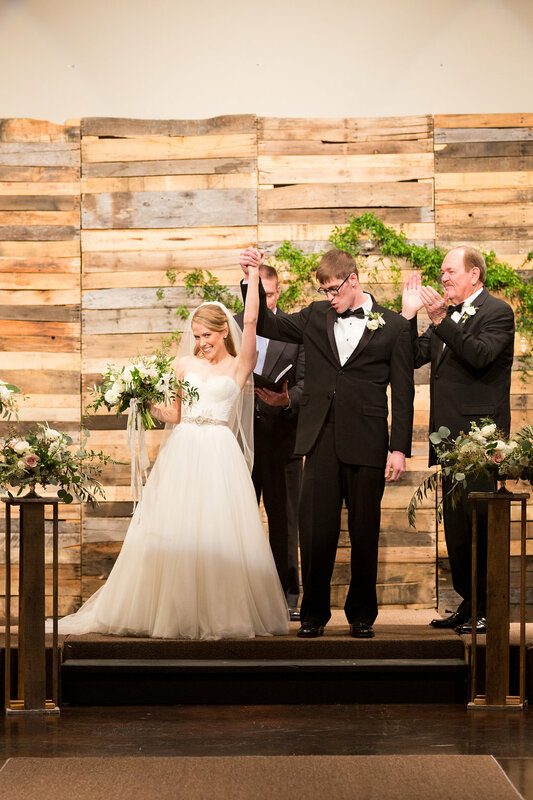 The black and white of your dad helping you into the church is so precious and I also particularly love the black & white one of you and TJ exiting the church...he only has eyes for you! So sweet! Thanks for sharing so generously, Shannon.